Ok blog fans, this week's giveaway is for the Old Testament folks, and anyone else who wants a chance to win. 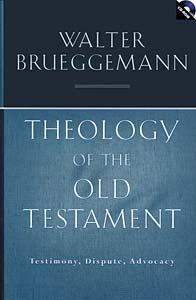 The week I am offering Walter Brueggemann's Theology of the Old Testament (Fortress Press, 2005). This paperback edition of Walter Brueggemann's classic work makes this important volume available at a lower price and accompanied by a CD-ROM that enhances its usefulness in numerous ways. Using the Libronix software, with helpful features for the user (searching, bookmarking, highlighting, auto-footnoting, note taking), the CD-ROM also includes chapter summaries, discussion questions, and web links to Brueggemann resources (articles, interviews, reviews). Hmm, I am not sure that I have CD, but if I do you can have it too. So put your name below and I will draw a winner on Sunday. Remember to check back! If the winner does not claim their prize in five days it goes back on the shelf. The Ark of the Covenant has been discovered! In Greece! Athens. It is believed that the tomb of Alexander the Great and the Ark of the Covenant have been found on the Greek Island of Thasos, announced Russian Grekomania.ru, which is information partner of the Greek Minister of Culture and Tourism. Head of the research group Pitia Nikolaos Kumardzis announced that the findings emerged during amateur excavations. According to him, some unexpected results were reported during the excavations on Thasos Island. Greek researchers are convinced that the findings really are the tomb of Alexander the Great and the Ark of the Covenant. 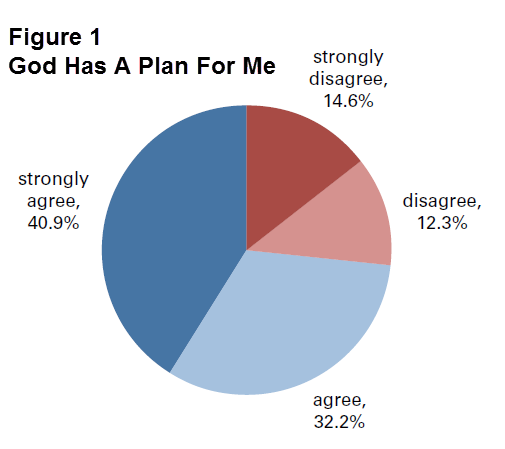 Unsurprisingly, I have my doubts that they have found either. But hey, who knows. 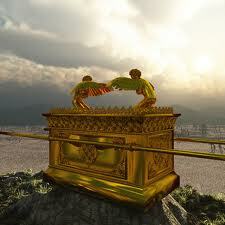 Maybe Alexander the Great found the Ark of the Covenant, opened it to look inside and got killed? Too bad he never saw Raiders of the Lost Ark. 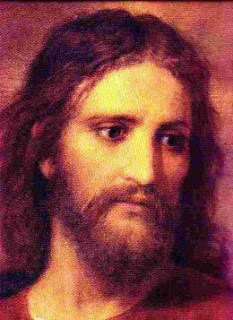 He would have known not to look! Updated Post! Apparently the Ark of the Covenant was part of an alien manna machine. I liked to play with Legos as a kid. Actually, I never had Legos. My brother had them. He also had Star Wars action figures and a really cool set of toys to be a firemen including a plastic ax and an oxygen tank and mask. I am bitter? Not at all! But I did play with Legos, usually when he was not around or was asleep or at school. The problem with Legos, however, is the cool stuff that they claim you can make. They plaster the front of the box with real cool scenes of, say, Lego men landing on the moon in a Lego capsule and driving a Lego moon buggy. But I have yet to meet anyone who can actually recreate those scenes. First, it requires several Lego sets. Second, I don't know many eight year old kids who have the patience and dexterity to creates such masterpieces. So imagine my delight when a few years ago I discovered that someone had brought together my passion for biblical studies with Legos! Brendan Powell Smith has been recreating biblical scenes with Legos for ten years. And he is very good at it. 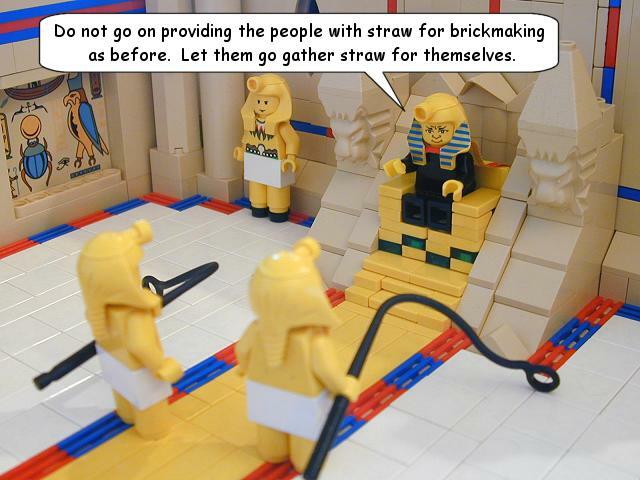 His website bricktestament.com has a number of Bible stories recreated in Lego form. But these aren't just the kind of recreations you see in a typical Sunday School class. No Lego people standing in an old shoe box with green construction paper grass. These are well done. But a warning to parents! Some of the scenes recreate the Bible with some amazing accuracy. So when the story of Lot and his daughters, well I think you know what I mean. Check out the Cain and Abel story. If you really like Smith's work you can now buy it in print form. Publisher's Weekly has a story this week about how Smith got started. It also discusses the book that he has coming out with photos of his work. Smith started with the first six stories of the Bible and put them up on his website for friends and family to enjoy. Several thousand visitors later, he realized he has something special on his hands, and decided to stick with it. A decade later, Smith has managed to adapt most of the Old Testament and large portions of the New Testament, as well as special presentations of Biblical law and the teachings of Jesus. 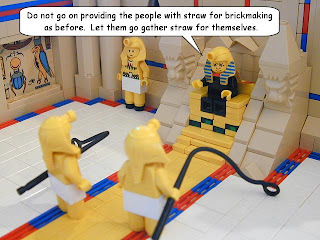 His depictions include some of the worst moments the Bible has to offer, but as acted by Lego people, the gruesome incidents within become easier to take. Read the rest of the story here and take some time to enjoy his work at the bicktestament.com.